There are things in life you don’t want to miss even when you’re traveling or living far away from home. Brown bread, your favorite coffee and delicious pastries are almost essential for most of us. 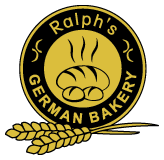 Ralph’s German Bakery brings you freshly baked home-made goodies along with German filter coffee and Nespresso coffee varieties in Dahab – a small coastal village in the Sinai. Master baker and business owner Ralph Stocker was born in Munich and takes pride in ensuring the traditional baking process of slow baking and use of Bavarian recipes. Ralph’s authentic products became very popular and the business has grown constant since 2009. Ralph bakes with enthusiasm and love, still every day himself. That’s what you’ll taste in every product!